As student and youth leader, I led the University of the Philippines Diliman Student Council (2000) and National Union of Students (2001). I started blogging in 2004 but before that I was a columnist of Tinig (Voice) web magazine. I was news editor of Yehey! for three years (2005-08), and columnist of UPI-Asia from 2007 to 2009. I’m currently the Southeast Asia editor of Global Voices and contributor to the ASEAN Beat of The Diplomat online magazine. 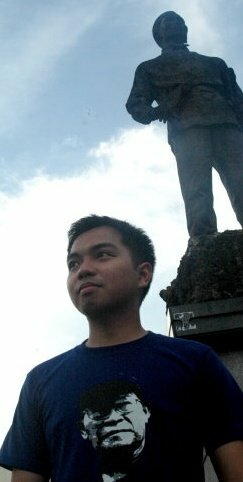 I represented Kabataan Partylist in the 14th and 15th Congress of the Philippines. I am the chairman of Bagong Alyansang Makabayan (Bayan) Metro Manila. I contribute opinion pieces to Bulatlat, Manila Today, and New Mandala. I am the Asia-Pacific regional content editor of IFEX. Youngblood articles: Activist son, Activist lover, and Neophyte. 7. Mong Palatino: Mula Chairman Patungong Congressman?